President Trump is right when he tweeted that the Russians were successful at sowing political discourse in the U.S. with their propaganda campaign, during and after the 2016 election. 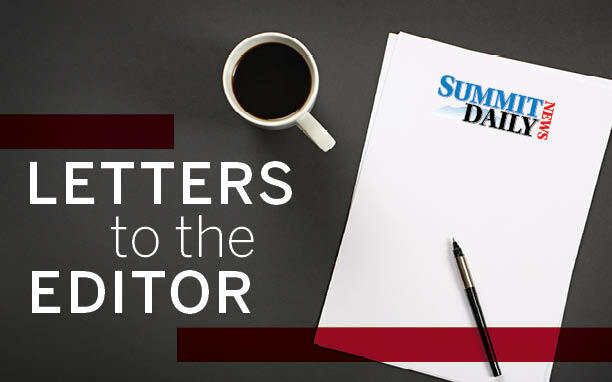 That discourse is alive and well in the Summit Daily News. In a recent edition, one reader generalized that “we can safely disregard everything he (Morgan Liddick) wrote, as usual.” Really? Liddick is the only balance to the left-wing columnists that dominate the SDN. His columns are far more data-based than the others. The other SDN reader on Tuesday had a plethora of generalizations about Republican lawmakers, calling them “morally corrupt,” and our president an “adulterer” in his diatribe about the NRA! How does this further the conversation? New gun control measures alone are NOT going to prevent mass shooting tragedies like we saw last week in Florida and last fall in the Texas church and in Las Vegas. Each one of these horrific events should be thoroughly investigated to identify the multiple precursors to the event, root causes and solutions. I hope the current passion that is expressed by the Florida students and the nation does result in action this time. We need a comprehensive strategy to address this complex problem. It’s not fair to label Republicans as obstructionists and to expect that not electing anyone endorsed by the NRA will solve the problems. If one were to take the time to listen to what these leaders are saying you will hear them proposing solutions such as enforcing existing gun laws, raising the age for purchase of AR-15s, more comprehensive background checks, banning bump stocks. You will also hear them promote increased school security, more resources and support for local law enforcement, understanding and addressing deficiencies in systems for reporting concerns about individuals with unaddressed mental health issues and/or violence. Community specific solutions that involve educators, parents, clergy and law enforcement are likely critical to successful prevention of future tragedies. Want to hear more? 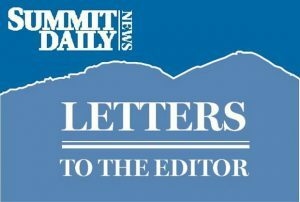 The Summit County Republicans have invited multiple Republican candidates running for state and national office in 2018 to speak at the annual Lincoln Day Dinner on Saturday, Feb. 24. Enjoy a nice dinner and hear directly from these candidates. Mingle with the candidates and local Republicans. Engage in civil conversation and you may be pleasantly surprised by the care, compassion and reasonable positions of Republicans, despite what you read in SDN editorial pages. Recently I read that Denver and Breckenridge are the top two locations in Colorado for AirBnB. This is an amazing concept that has evolved rapidly in less than 10 years. Most of us would have been reluctant to have strangers in our homes, or stay at the home of a stranger, until recently. Now, as a hostess, I delight in the people I meet from all over the world that stay in my home. For most of us, the change in our attitudes and inhibitions has something to do with money. In the 1950s, most men could earn enough to support their families, own and house and a car, have health insurance and put their kids through college. By the 1970s, more and more families needed two incomes to achieve this financial stability. Since then we have to depend more on credit cards, school loans, second mortgages and second jobs to live at the same standard as our parents. Rising prices, stagnant wages, skyrocketing costs of health care and college affect the poor and the middle class Americans. The latest evolution of achieving economic independence is sharing our homes with strangers. The wonderful outcome is a better understanding of people from all over the world, opening our minds and hearts. Globalization. We have always enjoyed guests in our home, whether it is a Japanese ski racer, relatives from Saipan and Paraguay, or medical students from Manila. Now with the extra revenue from AirBnB it allows us to make needed repairs on the house and pay for college tuition. After yet another school shooting, in which 17 have died, the nation is justifiably outraged. And, the expected knee-jerk calls from the media, elite and many elected officials for gun control and background checks have come forth. While we need to have rational debate in Congress about such legislation, rational debate would be a novelty. However, the outrage is misplaced. A century ago, the London Times questioned, “What’s wrong with the world today?” and is said to have received the reply, “Dear Sir, I am. Yours, G.K. Chesterton.” Chesterton knew the problems of that day lay with society, himself included. But don’t take it on my word, “an old man speaking from white privilege.” A clear-thinking young African American who plays tight end for the Baltimore Ravens has articulated what is wrong with our country. We have lost respect for life and for the family. We rightly decry the tragic deaths of these high school students while ignoring 60 million human lives destroyed by abortion. We sanction the disintegration of our families’ bonds. Many ask where God is in such tragedies and fail to see his presence in Coach Aaron Feis, who gave his life to save students, or that prayer and talk about God have been banished from our public school and increasingly are being limited to the privacy of our churches and homes.